This is part of a series of articles on games in Edinburgh – click here for the introduction and links to all the other articles. On a small, sloping street heading down to Waverley, you’ll find what looks like a very small shopfront. Somewhere that couldn’t possibly hide two (now three) games. Head inside and it feels a bit like a tardis (perhaps fitting, given the blue decoration on the outside). There’s a cosy waiting area should you turn up early, although be warned that the GMs seem to sit in the same space, so you may not want to turn up too early for fear of spoilers. Diamond Heist is their second game – they previously ran Major Plott’s Revenge, which has since vanished from these shores over to their sister locations in Northern Ireland. Since we visited, they’ve opened up their third experience, the Time Machine, so you can now play two different games at the venue. When the time for our game arrived, it became apparent just why they can get away with such a small shopfront: One of the games is actually next door – you walk out onto the street to be shown into the room. 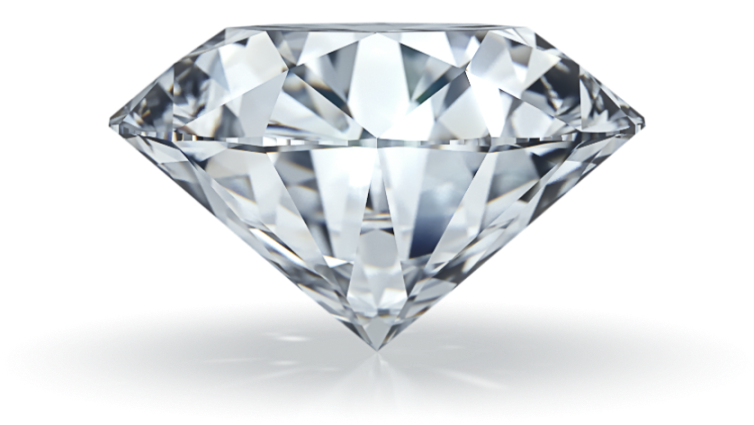 The premise behind the Diamond Heist is that you’ve got to break into Prince Nalwadi’s secret chamber and steal his famed diamond. The website makes it clear that the game will end with a laser maze, so I’ll say up front that, if that’s not your team’s idea of fun, then you should think twice before playing. That aside, the game was pretty much entirely low-tech, with a rapid-fire series of reasonably straightforward puzzles for you to solve that cover most of the usual bases and so should appeal to a wide cross-section of players. The overwhelming feeling I got in this game was of frivolous fun. I found it hard to take the game too seriously, and just got caught up in the joy of solving puzzles. Well, most of the time at least… Along the way to the finish, there are a couple of mini challenges to heighten the tension where you’re forced to work on some puzzles under increased pressure. I have mixed feelings about that – it worked out OK for us but I’m not sure what they’d do if you failed those stages (asking afterwards, they said no one ever did so it wasn’t an issue). There’s something in the idea, though, because it certainly gives you a big high when you pass each challenge and move on to the next part of the game. The biggest negative from my point of view was that you could hear the team next door playing, so there’s a small risk of spoilers. At one point, I overheard them saying something that would have given me the solution to a puzzle if we hadn’t already solved it. If this had been a genuine head-to-head game, that might actually have added to the experience, though – giving you the opportunity to wind up the other team as you moved towards your goal and also making you want to whisper to each other at times to stop your competitors overhearing. Sometimes a game is more than the sum of its parts. In truth, I can’t justify why the Diamond Heist sticks out as such an enjoyable game. When I look at the individual elements, it doesn’t deserve to be quite so highly rated, but there’s something about it that is just pure good fun. Maybe they’ve achieved that magical concept of flow in the game, maybe it’s that they’ve balanced out the puzzles in the room well, or maybe there’s something delightfully homemade about the whole experience – you can feel the love that they’ve poured into creating it. Whatever it was, the Diamond Heist stood out as just being that little bit better than most of its peers in Edinburgh. We escaped with the diamond in 40 minutes without taking a clue. That’s all on Escape Hour – want to read more about Edinburgh games? Click here to head back to the main Edinburgh page. Disclaimer. We werent paid to leave a reply. Logicescapesme team arrived on time and were extremely easy to please customers. No niceties required. They knew the score. They were here to steal the diamond. They had the look of a pretty good crew. They split up and scoped the joint. They actually did pretty well as a couple , as they were the first couple ever to complete the game without clues. They plodded along in pretty much unflappable style until they set off the games two mini countdowns. Thats when the “unflappables” started to flap. The first countdown was easily beaten. However the second coundown took them by surprise and completely threw them into a tiz. Super Ken went into complete meltdown and was seen running around the room rushing from A to B to Z in a complete flap. Composure was eventually restored when the GM intervened and reassured them that although they had failed to beat a 5 minute countdown , they had better get back n there and steal the ##@##% diamond. And that they duly did in around 51 minutes. FOOD. In the afternoon, logicescapesme might have tried out THE OUTSIDER on George IV bridge .. great lunch deal that goes from noon until 5pm. Views of castle etc. ( after that prices more or less triple). In evening if they were doing a team challenge, they might have gone to MOTHER INDIA. Brilliant local Indian, where the emphasis is on lots of small sharing dishes. They could have had a great discussion with S2 , why they were the winners of the team challenge despite having taken 10 minutes longer. They had , of course , been perfectly clueless.